Our experienced branch manager in Oakham can assist with your needs. Heading up our Stamford and Oakham Branch is Senior Branch Manager Graham Freeman, an experienced and successful property expert who has worked in a variety of roles across the property industry. Graham is a farmer’s son and was born and raised in and around Stamford and Oakham, and went to School for several years at Oakham School. He then moved to London and consequently saw a lot of the world on various tours as a professional trumpeter (which he tells us was very different to working on the farm!). 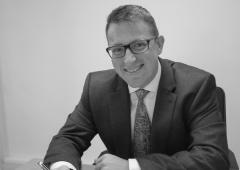 Around 12 years ago Graham moved into property and has loved the industry ever since, initially spending 10 years running an office in central London and training all levels of staff across the organisation. Graham moved home to Stamford in 2016, and in the October started working for Leaders when he was asked to run the Stamford office. Graham explains, “this decision was a pivotal one for me, and one I will never regret as I feel Leaders have the bespoke ability to keep our local offices local, but ,with the wider and larger benefit of a larger organisation (albeit a family run one) and all the benefits that entails in the background” . Graham prides himself on having a 360 degree view of the real estate market and has a passion for structuring investment properties, whether for an individual private landlord or a portfolio Landlord so the property works for you as efficiently as possible from all angles. 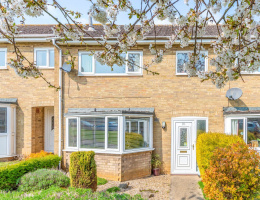 Graham lives in Stamford with his wife and 2 children, and you’ll regularly see him running around Stamford with his eldest son at his side (and on most instances in front of him….). Graham loves spending time with his family, playing golf and eating out at local restaurants. He looks forward to meeting with you or speaking to you to discuss how he can help you on your property journey. 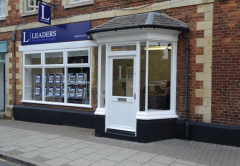 Leaders completed the acquisition of UPP Lettings in Oakham in July 2018. 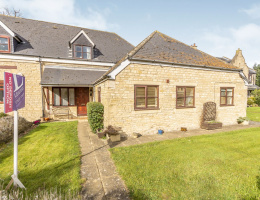 We have worked with hundreds of thousands of landlords and tenants over the last 35 years, helping them achieve their property goals, so whether you are letting a property in Oakham or looking for a home to rent, you will be in the safest of hands with Leaders. 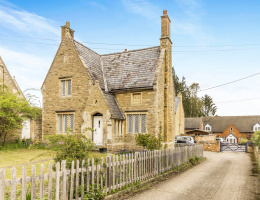 Oakham's property market has been buoyant for some time, making it a great area for a buy-to-let investment. Whether you already have a home you're thinking about renting out or you are looking for an investment that will give you a fantastic return, our local team can help you make the most of the market. Why not contact our friendly team today to find out more?